The Energy Efficient Mortgages Program (EEM) helps homebuyers or homeowners save money on utility bills by enabling them to finance the cost of adding energy-efficiency features to new or existing housing as part of their FHA-insured home purchase or refinancing mortgage. This program seeks to help achieve national energy-efficiency goals (and reduce pollution) and provide better housing for people who might not otherwise be able to afford it. By considering the savings on monthly utility bills when determining how large a mortgage the household can afford, as many as 250,000 more new homebuyers could qualify per year, according to a 1986 study by the Joint Center for Housing Studies. Although EEMs have been available in some States since 1980, they have been little understood or marketed. With EEMs, borrowers do not need to get a separate, costly loan for energy improvements when buying an existing home.  EEM is one of many FHA programs that insure mortgage loans--and thus encourage lenders to make mortgage credit available to borrowers who would not otherwise qualify for conventional loans on affordable terms (such as first-time homebuyers) and to residents of disadvantaged neighborhoods (where mortgages may be hard to get). Borrowers who obtain FHA's popular Section 203(b) Mortgage Insurance for One- to Four-Family Homes are eligible for approximately 97 percent financing, and are able to fold closing costs and the up-front mortgage insurance premium into the mortgage. The borrower must also pay an annual premium. EEM can also be used with the FHA Section 203(k) rehabilitation program and generally follows that program's financing guidelines. For energy-efficient housing rehabilitation activities that do not also require buying or refinancing the property, borrowers may also consider HUD's Title I Home Improvement Loan program. FHA-approved lending institutions-which include many banks, savings and loan associations, and mortgage companies-can make loans covered by EEM insurance. All persons who meet the income requirements for FHA's standard Section 203(b) insurance and can make the monthly mortgage payments are eligible to apply. The cost of the energy improvements and estimate of the energy savings must be determined by a home energy rating system (HERS) or an energy consultant. Up to $200 of the cost of an energy inspection report may be included in the mortgage. Cooperative units are not eligible; individual condominium units may be insured if they are in projects that have been approved by FHA or the Department of Veterans Affairs, or meet certain Fannie Mae guidelines. EEM can also be used with FHA's Section 203(h) program for mortgages made to victims of presidentially declared disasters. The mortgage must comply with both Section 203(h) requirements, as well as those for EEM. However, the program is limited to one-unit detached houses. EEM can be used to make energy-efficient improvements in one to four existing and new homes. The improvements can be included in a borrower's mortgage only if their total cost is less than the total dollar value of the energy that will be saved during their useful life. The cost of the improvements that may be eligible for financing as part of the mortgage is either 5 percent of the property's value (not to exceed $8,000) or $4,000--whichever is greater. The maximum mortgage limit for a single-family home is $160,950, plus the cost of the eligible energy-efficient improvements. (Limits may be lower in some areas of the country.) . Applications must be submitted to the local HUD Field Office through an FHA-approved lending institution. HUD's homepage offers a searchable list of approved lenders. In FY 1996, 3,500 loans were endorsed. In FY 1997, 4,700 loans were endorsed.  EEM is authorized under Section 513 of the Housing and Community Development Act of 1992. Program regulations are in Mortgage Credit Analysis for Mortgage Insurance on One-to-Four-Family Properties (HUD Handbook 4155.1), paragraph 2-20. This and other FHA programs are administered by the Office of Single-Family Housing in HUD's Office of Housing-Federal Housing Administration. Contact the Director of Single-Family Housing at the nearest HUD Homeownership Center. The Department of Energy (DOE) and HUD established a Joint Initiative on Energy Efficiency in Housing. To learn more about this collaborative effort, see DOE/HUD Initiative on Energy Efficiency in Housing: A Federal Partnership, Program Summary Report, which is available from HUD USER (1-800-483-2209).